To say that June has sucked weather-wise would be an understatement. My Northface jacket has been used far too often this Spring and the threat of rain every Monday for my softball games is getting a bit tiring. But wait. The first day of Summer brought us... wait for it... Warm weather! Ironic that I decided to go for Pho though... I ended up at Kim Hoang because people have told me to check it out. Well, that was awhile ago... when it was still cold outside... 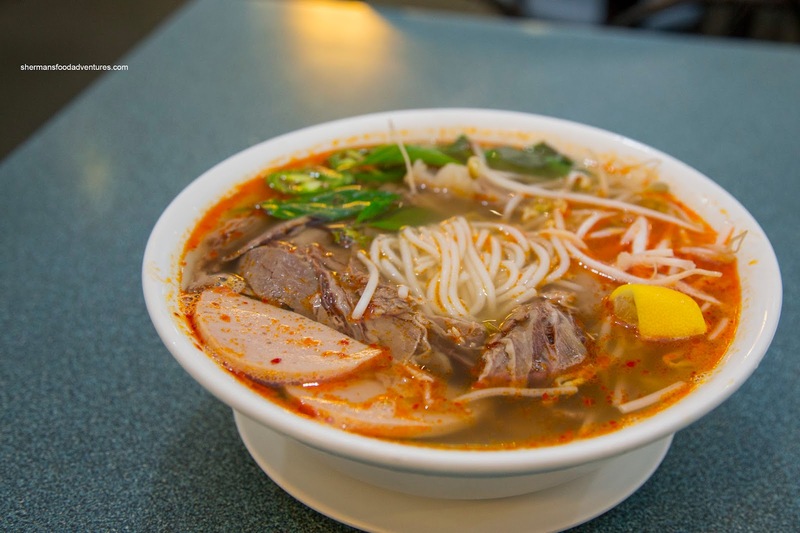 Located in the same plaza as the Tim Horton's, Kim Hoang is a small place that can be easily missed. In fact, if one wasn't traveling Eastbound on 152nd, it is actually not the easiest spot to get to. Of course I got to it and once inside, occupied the only 1 of 2 window seats available. I went ahead and ordered my favourite being the Pho Dac Biet. 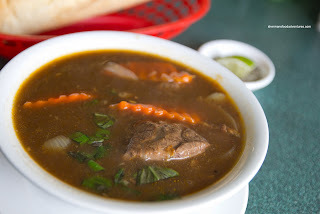 The broth was clear and light, yet still exhibited meat flavour with a touch of star anise. It was quite sweet though. The noodles were perfectly prepared being slightly chewy and not clumpy at all. There was a good amount of meat which were all tender except for the brisket which had some chewy parts. 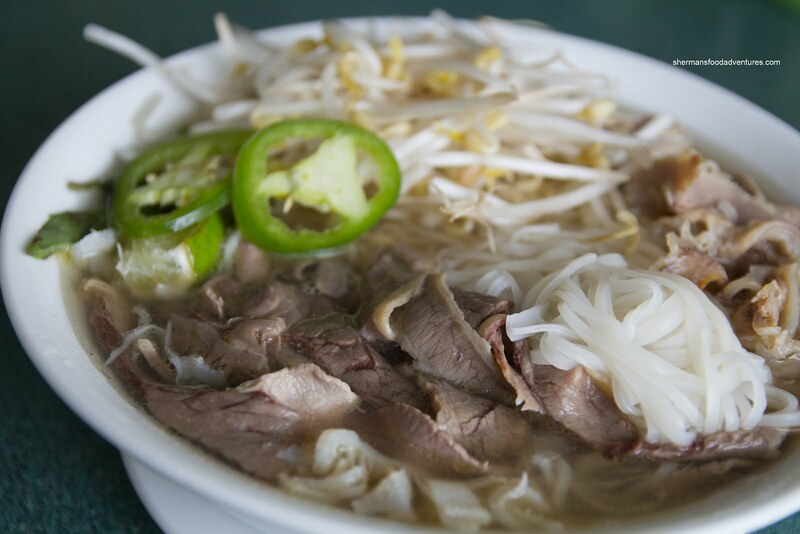 Now one bowl of Pho wouldn't be enough right? So I also got the Bo Kho (Beef Stew) served with a crusty baguette. The beef stew was slightly underdone as the stewing liquid was flavourful while lacking depth. The carrots were actually still somewhat crunchy. However, the copious amount of tender beef shank made this dish acceptable. The meat was moist and the connective tendon tissue was gelatinous and practically melted in my mouth. The meat itself was quite bland though. This led me to believe that the meat and carrots may have been added to the stew after the fact. I returned again to try something else on the menu and had the Bun Bo Hue... on yes, another warm day (they do that in Vietnam right?). This was a fairly average version as it was somewhat aromatic with lemongrass, but it was not very spicy nor did it have any shrimp paste (or very little of it). The meats were good though and the pork knuckle was a nice surprise. 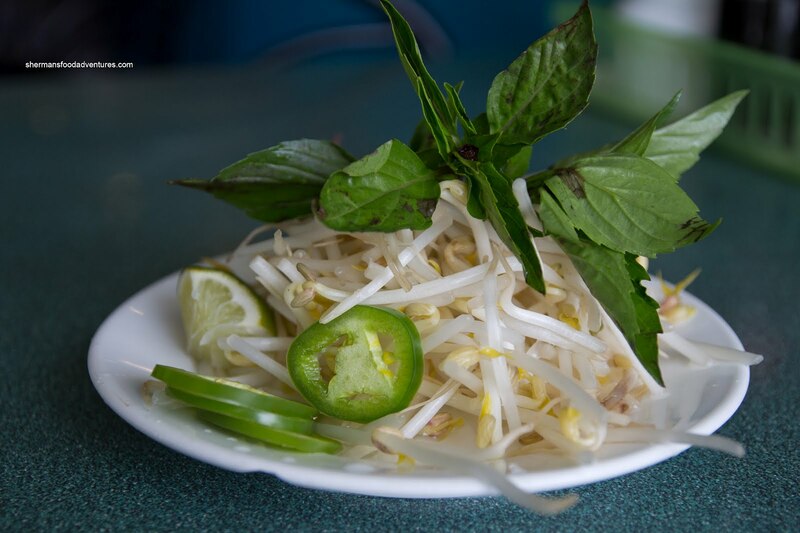 Whatever the case, the 3 items that I did try were decent enough to put Kim Hoang in the large group of acceptable Vietnamese restaurants in the GVRD. Yes, I did do a return visit, but that was only to sample more than 2 items.